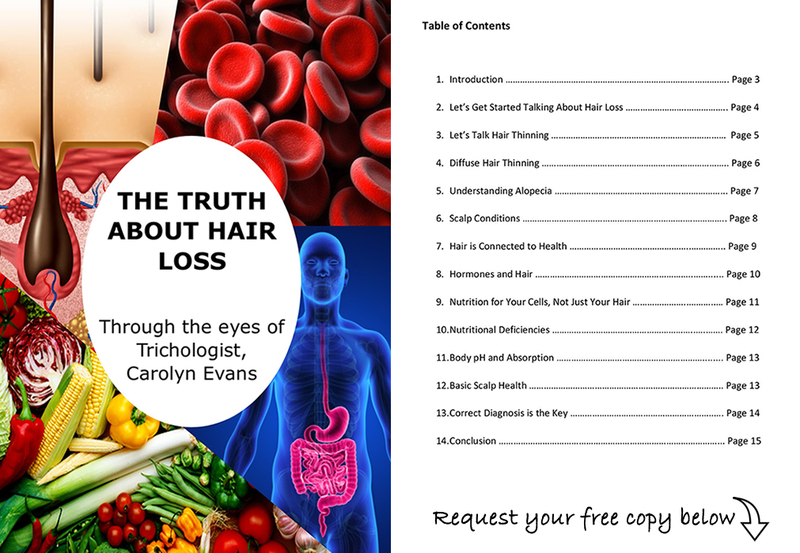 If you haven’t seen yet, I have been sharing my first free eBook, The Truth about Hair Loss, via Facebook LIVE each week for the past 12 or so weeks. 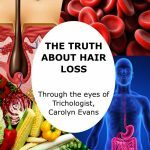 In this Facebook LIVE series, I have been discussing topics to help people understand and uncover the truth about hair loss following one chapter on my first free eBook in each weekly series. We have now finished up this series, but you can still request a copy of my free eBook to read or watch along in replay. 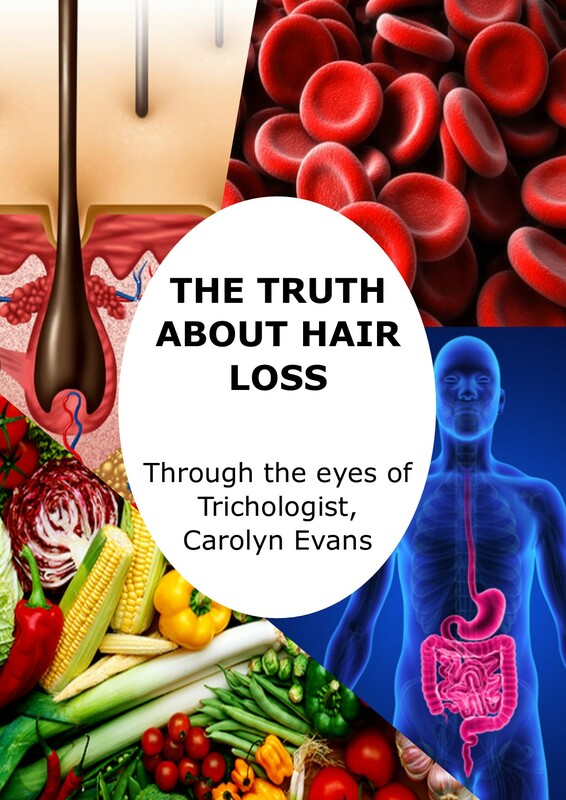 Here are some of the topics we covered earlier in the series; Hair loss related to the hair cycle, diffuse hair loss, telogen effluvium, pattern hair thinning and diffuse hair thinning. We’ve provided links to the Facebooks LIVE’s in order so you can watch yourself to get and understanding and not miss the necessary lessons in uncovering the truth about hair loss. Later in the series we shared topics such as; understanding alopecia, various scalp conditions, how hair and health are connected, hair and hormones, nutrition is for health not just hair growth, nutritional deficiencies, body pH and absorption, basic scalp health care, and why correct diagnosis is the key.